Post-apocalyptic stories are nothing new. They can range from the “cosy catastrophe” (Day of the Triffids) to the action adventure (the Terminator universe) to the soul-crushingly bleak (The Road), but can a tale of the world after the fall of civilisation really be life affirming? 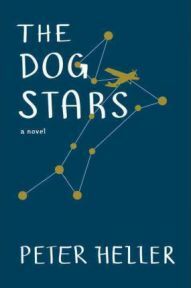 Well, that is what Peter Heller’s new book The Dog Stars is billed as: a novel about the end of the world that makes you glad to be alive. The cynic in me raised an eyebrow at this description, but got stuck into reading it nonetheless. Set in the near future, The Dog Stars shows us a Colorado nine years after an influenza superbug wiped out most of humanity and a lingering blood disease that came in its wake weakened many of those who remain.